And she’s okay with that illusion. “It all” for Valdes is a day that typically starts before dark. She’s up at 4:30 so she can head into her office with Fortify Ventures by 5:30. The commute is anywhere from 1-2 ½ hours depending on traffic, but her husband’s teaching and coaching gig keeps them in their current location, close to family. There aren’t many phone calls to make that early in the morning, so in her head, Valdes makes lists of all the things to do that day. Around 6:30 she talks to her 2 kids—ages 5 & 3–before they head off to school. When she finally gets into the office, the day could go a thousand different ways. As a General Partner at Fortify, Valdes oversees the accelerator, The Fort. 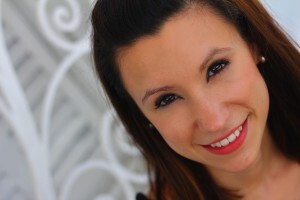 She also plans events, participates in investor relations, and works on deal sourcing. Despite meetings throughout the day, she also joins us all on the quest for inbox zero. She tries to leave the office by 3:30 so she can be home by 5-5:30. Carla Valdes is the hardest working unsung hero I’ve ever had the opportunity and pleasure to work with. Her enthusiasm for entrepreneurship is contagious and she has a passion for startups that is second only to her passion for her children. 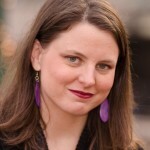 Carla’s impact goes well beyond the Fortify portfolio and Washington, DC region. She is a firecracker whose strong heart and sharp mind are fantastic assets and having her as a partner has been a blessing. After a full day, Valdes does the evening dance we all know and love to hate. Dinner (healthy, if she’s lucky), baths, story, bed. She often falls asleep with or before her kids, alarm set to do it all again the next day. Yup, it seems like she has it all. But, like any of us, Valdes can point out the things she’s missing. Parental guilt aside, Valdes doesn’t plan to quit any time soon. Like many moms, she knows if she didn’t work, she would go crazy. At work, don’t be too nice. It took her awhile, but she finally realized that the polite behaviors—offering drinks, stepping out for a call—made her seem like a secretary. While these behaviors come natural to many women, it can make others second guess your role in the deal and not take you seriously. Let the men think you’re pulled together. Valdes thinks the whole conversation about women and work is good for women to have in small circles. It’s good to know we’re not alone in our struggles. But, as far as anyone else needs to know, this whole thing is effortless. Forget what you think a perfectly balanced life looks like. It’s like when you give a speech. You may think you bombed it because you forgot this point or didn’t put in that punch line. But the audience doesn’t know what you meant to say. Give yourself a break on those things you think you should be doing and focus on the things you have done. Get some “me” time. Valdes admitted she’s actually not the best at this herself. Still, once every month or so, she gets a pedicure all by herself—no kids allowed. “Even if the laptop’s on my lap!” she laughed. In the middle of a national conversation about work/life balance, Carla Valdes just does it, with a lot of grace. She knows it won’t be perfect, but that’s okay. 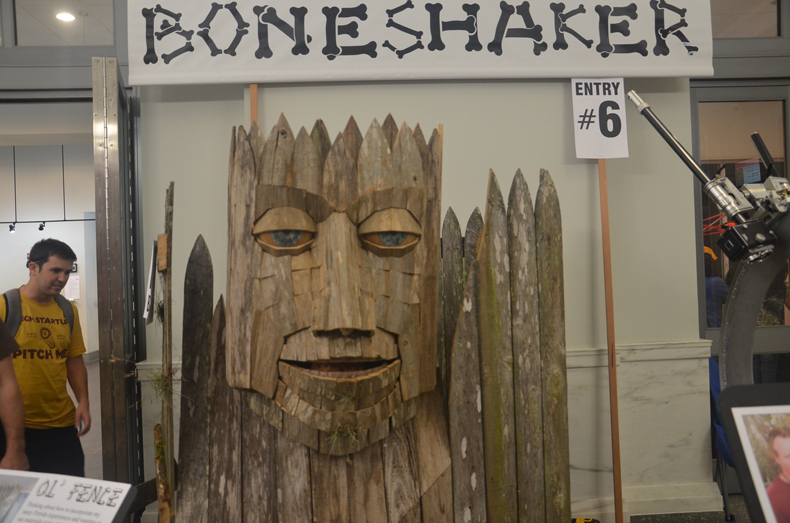 There is no way that I can spin this into a startup story,except for the fact that Ron “BoneShaker” Schroer, is participating in OneSpark, the World’s Crowdfunding Festival. Schroer spent many years working in animatronics, designing and creating Disney like animatronics for theme parks, and interactive exhibits for kids. The lifelong Jacksonville resident heard about the OneSpark festival and had to be part of it. “There has been nothing like OneSpark before in Jacksonville and I wanted to create something for it”, Schroer harnessed his creative brain and his experience in animatronics and started to think about what to create. He had a ton of old fencing on his property so he proceeded to create “Ol Fence”. “So I looked into my cupboard to see what I might bring. Thinking about how to incorporate my many Florida experiences, I realized how integral to the southern image is fencing- weathered wood, rolling and undulating, almost alive with personality- and thus was born Ol’ Fence- folk art meets process control. Ol’ Fence has 40 individual motions that can be combined for a wide range of actions. His ‘speech’ is created live with a talking drum, bowed and struck.” Schroer said in his OneSpark creator bio. Combine all that with the fact that Florida probably has the most animatronics per capita of any state in the US, and you’ve got a match that is very creative, eye catching and perfect for OneSpark. Kids passing through the Jacksonville Public Library where Ol’ Fence is on exhibit, are taking pictures with him in droves. Schroer has even opened up the back side of Ol’ Fence to show passerbys how the animatronics works. He also has a work in progress on display, a time machine of sorts. Schroer’s enthusiasm for the OneSpark event is infectious and it echoes what many Jacksonville residents have expressed about the inaugural festival since we’ve been on the ground here on Wednesday. Schroer has been reminding people to sign up and vote. He doesn’t care if he wins or not but he wants to see as many people as possible vote for something, to show how much of the community supports the event. A Dartmouth startup called Square One Mail wants to help busy people sort their email in the most effective ways. Rather than combing through pages and pages of email Square One Mail will put everything in an easy to view dashboard, automatically sorted out into zones. 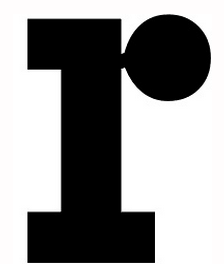 Square One Mail is starting out with an iPhone app which is currently in private beta. They plan on adding a web-based interface and an Android app soon. There are a lot of email alternatives available but most of them, like Sparrow, that still sort email in rows, almost the same way it appears on the iPhone’s original email program. While this may work for some people, the Square One Mail dashboard let’s you take a quick look at what’s come in before scrolling through pages and pages of messages. 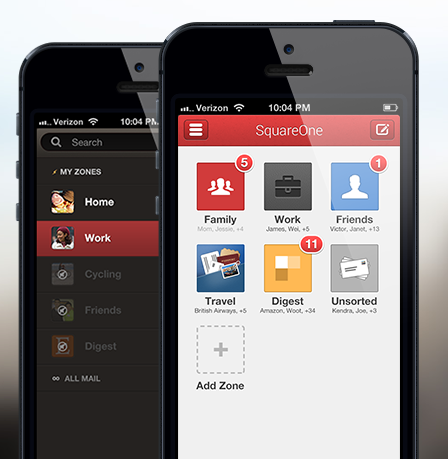 “SquareOne Mail is a personal email assistant for busy people. We automatically sort out all of the commercial newsletters and social notifications, and present these in a digest view. The rest of your incoming messages are presorted into Zones, which represent different communication areas in your life, such as different projects at work, or Family, College Buddies etc. Instead of a cluttered inbox list, all your zones are presented in a Dashboard. The Dashboard is the main interface for interacting with email – you get a bird’s eye view of all new messages sorted into Zones, so you can prioritize and focus on what’s important. All messages are displayed in an in-line conversation view, which makes even reply-all conversations with multiple recipients easy to navigate. The user has control over which zones prompt email notifications in what contexts (time of day, geographical location).” Square One Mail co-founder Branko Cerny told us in an interview. If you’re constantly sorting through hundreds of email messages, Square One Mail could be for you, especially if you want to eventually read all of your email but you just need to prioritize it, easily. Check out the rest of our interview Cerny below. It’s Demo Day month in Tennessee. Last week was Demo Day at the Gig Tank, Chattanooga Tennessee’s startup accelerator themed around the city’s one gigabit fiber optic network. This week is Zero to 510’s Demo Day in Memphis Tennessee. Zero To 510 is the first cohort based medical device startup accelerator in the country. Their teams are preparing for this week’s big event with a series of rehearsals in Memphis this week. This makes the third big startup event in just as many months in the river city. 48 hour launch kicked off the summer, then there was Startup Weekend and Demo Day this Thursday. 200 miles east of Memphis the seven remaining teams in JumpStart Foundry are preparing for their Demo Day next week. 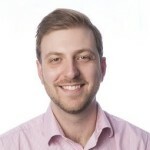 Solidus Partner Vic Gatto told us last week that there were 10 teams originally but three teams couldn’t keep up with the rigorous training, working and perfecting their startup and dropped out of the program. PhotoRankr is one of the seven startups preparing to present next week. They bill themselves as a community and a marketplace for passionate photographers. Of course right off the bat we noticed that PhotoRankr has an actual up and working product. The website for PhotoRankr is polished and aesthetically appealing to anyone, especially those photographers with a nose for design. Within PhotoRankr members can get genuine feedback from fellow photographers. They can also find link minded photographers that they would want to learn from. They can find photographers based on portfolio, location or skill level which means the user can have role model photographers and peers to exchange experiences with. PhotoRankr also offers a marketplace for their users own work. PhotoRankr members can sell their original work for whatever price they would like. It gives a much more creative and artistic source versus traditional stock photography sites. In reading all of the profiles for next weeks startups it’s a tough call. We got a chance to talk to the PhotoRankr team in the interview below. Check out the interview and then after that hit the link and check out PhotoRankr yourself. Let’s face it, in the earliest stage of a startup many founders are looking for co-founders, and other team members that will work for equity rather than an actual paycheck. It’s a gamble for the employee, if the startup doesn’t get off the ground, all that hard work may not have paid off. On the other hand, if the startup catches on fire like say, Instagram, you may have just earned seven figures for six months of coding. Finding workers, co-founders, designers,engineers etc, that are willing to work for equity is a challenge in itself. Some workers feel that working for equity is like volunteering, and with the statistics for startup success as low as they are it’s definitely a gamble. Some founders don’t like to advertise that they are looking for equity workers, and they don’t necessarily know how to find them. That’s where Boston startup HoursForEquity comes in. HoursForEquity is exactly what the name suggests, it’s a web portal connecting folks that are willing to work for equity, to those willing to give up equity for their work. Bill Lott, co-founder of HoursForEquity tells us that their platform allows employers and founders to search a database of local, national and global people willing to work for equity. This way you can find the perfect team with the skills you need to succeed. There are a lot of startups out there trying to challenge everyday corporate models like the hotel and the car with peer to peer sharing services. Ridepost, a South Carolina startup incubating at Iron Yard, is looking to enter the world of peer to peer vehicle sharing. Sure there are other startups tackling the same issue, but it’s going to come down to scalability, go to market strategy and execution. Ridepost will eliminate the need for a taxicab and other for hire vehicle services by connecting passengers and drivers in a safe and social setting. Ridesharing in this setting isn’t new around the world, just in the US. In fact it was traveling abroad where Ridepost co-founder Marty Bauer, first experienced ride sharing and wanted to bring this money saving way to travel back to the U.S. Bauer realized that ride sharing wasn’t about getting in the car with strangers it was about traveling. You know here at nibletz.com, the voice of startups “everywhere else” we love writing about startups. 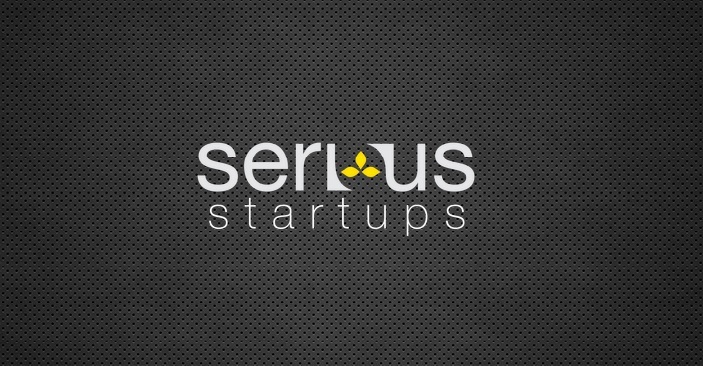 What we love even more is when we can write about startups who in some way or another, are a resource for other startups. Such is the case with Houston startup TheSquareFoot. Now on the surface you may think that TheSquareFoot is just another commercial leasing site, but it’s ten times more than that. When your startup grows out of that co-working space, incubator, or graduates from that accelerator, the last place you want to move is back into your parents basement. Truth be told, unless you undergo a major round of financing (and hopefully you will) companies like CBRE may be useless to you. Only a company the size of AirBnB needs 8 bajillion square feet. Having owned a medium to small sized business I know that large commercial realtors don’t take the time to talk to small businesses. The problem is there is plenty of small business real estate available for rent in just about everytown USA. That’s where Thesquarefoot.com comes in handy. Once you’ve found the perfect spot on the site then TheSquareFoot hooks you up with the resources that you need to actually move in and start using your new space. Last week we brought you an interview with New York Alcohol Discovery startup Drynk.me. They provide an app that makes it easy to discovery new alcoholic beverages, snap pictures, jot down ingredients, and share with friends. This week we have an interview with Pittsburgh startup RhoMania who have just released a new app called “Grail” to restauranteurs to help restaurant patrons with their alcoholic beverage selection. Grail is available in an iPad and web app version which allows restauranteurs to have servers bring an interactive alcohol menu which highlights the selection on site at that restaurant and pairs beverages with the food on the menu. Grail serves as an interactive wine and cocktail list which can be much more robust than traditional two sheet lists. Where Drynk.me is a consumer facing app, Grail is designed to be utilized by restaurants. The hope is that the app will help increase liquor and beverage sales. A Junction City Kansas startup called Lead Horse Technology has introduced a new patient safety tool that provides critical safety information to doctors providing patient care. Adverse reactions to medication can be life threatening in any setting, but especially in a hospital setting where doctors and nurses are charged with the care of several patients at one time. While the move to paperless charting is welcomed by all, it can actually open up risk factors such as adverse reactions to medication at an alarming rate. Medloom, the tool created by Lead Horse Technology, is designed to be an add on for electronic health information systems and provides important medical patient safety information to doctors, nurses, technicians, pharmacists and anyone else who comes in contact with the patient and their electronic medical record (EMR). Medloom provides pharmacovigilance (the ‘assessment and monitoring of the safety of drugs as used in the real world’) support to clinical decision-making. 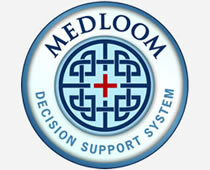 Unlike other “clinical decision support systems”, Medloom does not rely on published data but uses an advanced artificial intelligence algorithm to create ‘at risk’ profiles from the FDA’s adverse event reporting system, then cross-references these profiles with individual patient records to scan for those patients who match. Patient identity is never compromised or even an issue, because Medloom only looks at the patient profile (meds, background conditions, age and gender) and never captures patient ID. In an initial clinical validation trial Medloom correctly identified 80% of the patients who were at risk for not just adverse reactions to medication but life threatening adverse reactions to medication. We got a chance to interview Dr. Ramona Leibnitz, one of the co-founders of Lead Horse Technology about this exciting new medical startup. Check out the interview below. 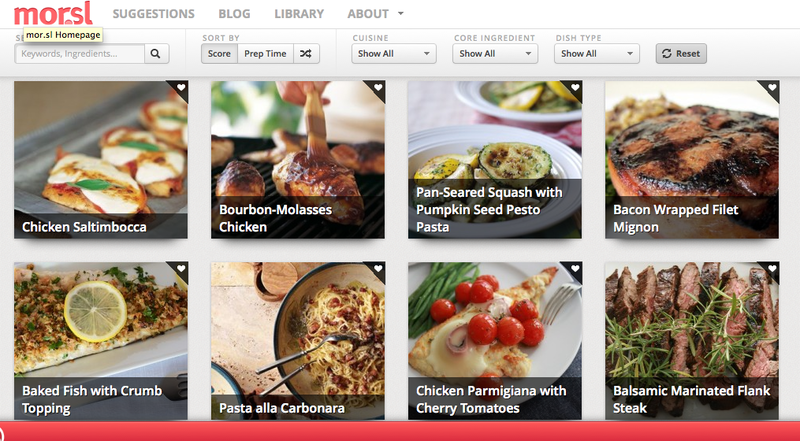 Recipes find you with Washington DC startup Mor.sl. This new startup in the recipe space has turned the traditional recipe website model on it’s head. Sure they have hundreds of thousands of recipes but rather than have you searching and sifting through thousands of recipes, their intuitive algorithm matches you to recipes based on a quiz you take when joining. The quiz is fun and practical. It’s multiple choice and you can answer questions about your cooking habits with answers like “the microwave is my best friend”. The quiz also mixes up a bunch of “this or that” questions, like tacos or creamy soup. At the end of the quiz it actually served up results that I would find appealing. With my “the microwave is my best friend” answer, the recipes that mor.sl offered were relatively easy to cook. They also asked how well stocked my pantry was. Indeed I need to do some more shopping but I think me and this mor.sl could get along. We got a chance to talk with Milli Mittal one of the co-founders of mor.sl. Check out our interview below. Bookappo is a new European startup based in the Czech Republic. They provide an online software platform for booking and scheduling appointments using a “book now” button. Bookappo is perfect for small businesses and even startups. The “book now” button can allow small businesses to let customers check availability and timing and then book their appointment off of the company’s website or Facebook page. The customer side dashboard allows users of book now to easily create their own booking form, email reminders and calendar. The company has also introduced a mobile version that is accessible from an iPad, iPhone or Android powered device which makes it easy for anyone to set up appointment calendars or book appointments while on the go. Everyone starts off with a free 30 day trial of Bookappo and then after that it’s just $19 for the lite version and $39 for the pro version. After looking over both offerings the only significant difference between lite and pro is the ability to manage the appointment schedules of “unlimited” employees. That feature is included in the pro version only. If you like nice things, beautiful things, picturesque things but just need a little help with you’re interior design project, no worries there’s an app for that (soon). While there may be a few apps and platforms coming up in the interior design space that doesn’t worry Tiff Wilson and the team behind New York based Room Hints. In fact, they label themselves as weird, extreme and fearless, a combination that can only lead to impeccable style. Room Hints iPhone app is currently in a private beta and you can sign up here to try it out. The app provides a host of ways to get recommendations on the latest fashions and trends in your homes. You can see what other Room Hints users are doing, you can share your ideas and designs with friends, and the app itself will suggest great design pieces as well. Room Hints also has professional designers on board that can help you complete that interior design product. Imagine having a teen tiny interior designer at your beck and call on your smartphone. It’s like a private shopper but for interior design. We got a chance to check in with Tiff as the team prepares for a more grand-scale launch. 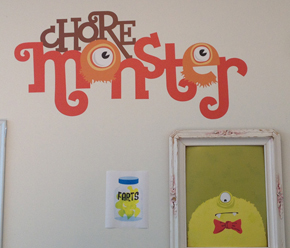 Cincinnati startup ChoreMonster makes chores fun for the whole family. The Cincinnati based startup, founded by Chris Bergman and Paul Armstrong was one of the standout startups in the 2011 class at the Brandery Accelerator in Cincinnati’s Over-The-Rhine neighborhood. The startup was designed around monsters that Paul Armstrong had created and shown to Bergman. The two decided that they really needed to do something fun, positive and profitable with the monsters. Bergman tells us in the video interview below that he didn’t have the best home life as a kid. He didn’t delve deep into that but you can tell that he is very passionate not just about starting a tech company,but the good that ChoreMonster is going to do for families and kids. He loves the idea behind incentivizing chores and of course the gamification of them as well. Parents sign up at ChoreMonster.com. While it’s in beta right now Bergman tells us that all you have to do is share it with your Facebook friends, through a one-click process and you’re into the beta. He also tells us you can find beta invite codes everywhere. At this point the beta is more about putting the finishing touches on the product rather than limiting users at this stage in the game. After you sign up, you create a profile for your child (children) no worries though the parent controls everything that the child sees. From there you start setting up chores. You can pick from the list of chores or make up your own. Once you’ve selected a chore you fill out the chore form which asks you to assign it a point value. The next step is to set up rewards which your child can redeem for points. The parents create the rewards themselves. For my daughter we created a chore “pick up toys and books” we assigned it a value of 5 points and that it needs to be done every day. At 50 points our four year old daughter can redeem it for a new My Little Pony. We added a variety of other chores along with a bunch of awards including things like movie night where we will go see a movie in the theater, after school ice cream trip, and after school trip to the park. There is an app that we downloaded for her on her ipod touch which tells us she’s completed a chore. Once we verify the chore she gets the points in her point bucket. The best part may be when the monsters come into play though. 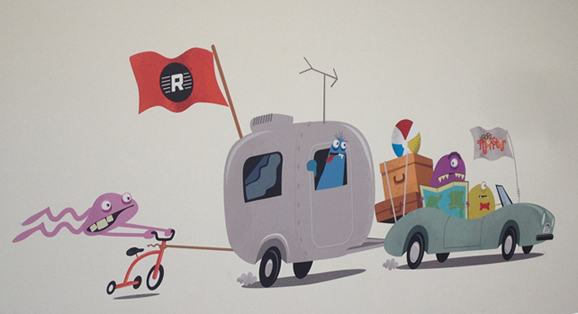 Armstrong has designed a great group of monsters that each kid can redeem. They plan on adding a virtual market so the kids can add virtual items to their monsters, buy premium monsters and interact with other kids and other monsters. Sure ChoreMonster isn’t going to last forever in a kids life. The average family will probably get great use out of ChoreMonster from the time their child is four to about 12 or 13. They may grow out of it by then, but heck it’s around that age that the chore chart comes down as well. From a startup business standpoint, with their core set of users theres barely any attrition. After the family has the big family meeting about ChoreMonster, and once the kids start using it, it’s not something that can be easily tossed to the wayside like an app or game you may have gotten bored with. Bergman tells us the next step is to add an app for the parents so that they can verify chores, track chores, and check up on their child’s progress from their own app. The two co-founders are filled with heart, soul and laughter and of course creativity. They work out of the top floor of the Brandery which has been dubbed the “Alumni Penthouse” from some of the companies that work out of the space. From the middle of the top floor of the Brandery Bergman and Armstrong can see all the way down to the bullpen where the current class is working hard on their startups. Both co-founders can often be found mentoring the new startups as well. You can also find them very active in the social, community parts of the Brandery whether it be a Reds game, basketball, beer pong or one of the Brandery’s social gatherings. They’re both as committed to the Brandery community as they were when they were going through the same rigorous program. Check out the video below where Bergman talks more about what drove him and Armstrong to create ChoreMonster and you can just tell from the discussion this is something he believes in. Investor’s believe in them as well. 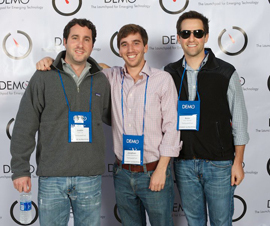 In 2011 they took the $25,000 top prize in the Cincinnati Innovates competition. They also closed a round of funding at the beginning of the year for $350,000 dollars from private investors and CincyTech.